Develop your footy skills with the help of South Adelaide players, enjoy skill drills, a mini game, BBQ lunch and kick and catch with the players! 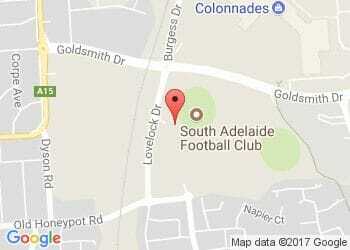 This July school holidays, South Adelaide are taking their Macca's Holiday Clinics to our country zone. The best part about football is that anyone can give it a go, so the club is holding their clinics at the Encounter Bay Oval to give all young Panthers supporters in our zone a chance to learn from the best!